Coda Conduct have been working hard at their craft and 2015 was a break-out year for this all female hip-hop duo. A fantastic debut EP, Butter Side Up, along with support shows with Citizen Kay, Thundamentals and Childish Gambino and a goddamn radio show (What’s Good on FBI Radio), the only way is up for Erica and Sally. Straight ahead rock n roll. Sometimes I just bloody crave it. Wavves deliver this with a bonus tinge of the beach. On their fifth album, coincidentally called V, they deliver a sweet package of summer rock that works perfectly when you’re walking down a street on a sunny day just soaking up how damn lucky you have it. Way Too Much is catchy, rocky and has been my guilty pleasure this year. We all need those. It’s hard to ignore Tame Impala. With all the accolades that are thrown their way it’s easy to almost dismiss them and place Kev Parker and co. in the mainstream basket. I have been guilty of taking Currents, their 3rd album, for granted and not really appreciating it. There’s something about the format of the album that sorta shits me. Formats aside, the first song on the album, this nearly 8 minute epic, is a magical mysterious journey. A journey that needs to be really listened to before you can ‘get it’. Yes, the ethereal voice of Parker carries this song, but there’s a lot going on in there. Like an onion, the layers in this song just make it. I thought about leaving this out, because I know how damn popular it is, but damn…it is good. 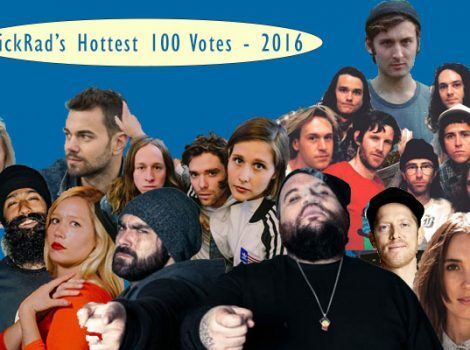 This list contains a lot of artists that not only have wowed me, but I think will have huge years in 2016. Last year, 2014, this artist exploded onto the scene with White Flag (in my voting list last year) and this year she’s released three more tracks; each one showing off the diversity of this artist and getting us closer and closer to a debut album that is sure to knock our socks off. End of Time is not as visceral as White Flag, or Father Hu$$la, but shows that Ecca has a lot of things going on that we can dig. Her live show, for one thing is bloody amazing, and everything she has touched so far is just whetting our appetite for more. Can’t wait for 2016. Sometimes you hear music that makes you want to hear more..and more..and more. For me, in 2015, that was Polish Club. They produce 2-3 minute rock tunes made with a simple formula. Jangly guitar, loose frantic drums and most importantly, a smile. Novak and Pajak make frigging fun music, almost the opposite to the serious journey of someone like Tame Impala. Did Somebody Tell Me is the perfect initiation to this band. 2 minutes and 18 seconds of pumping, fun rock. There’s the semi-distortion from the vocals, the click-track-less drums and that guitar, that Novak just treats mean and keen. Their six track EP is not enough. I need MORE.